Yesterday marked eight years since I said goodbye to my bachelor ways and made the big plunge into married life. Add another six years onto that, which covers the long process of courtship we call “dating.” All told, I’ve been with my significant other for nearly half of my life. It’s all of those things, and more. 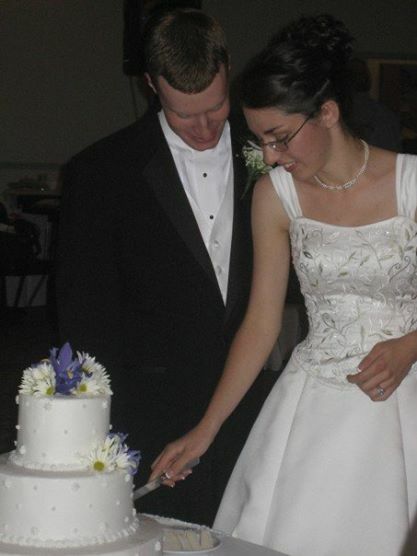 Eight years ago I took my best friend and made her my wife. Eight years ago, I gained a companion who would stand by me through everything Life had in store for me. And for eight years, it’s been an unforgettable ride. My first great love introduced me to my second great (though to a lesser extent) love. It was one of those moments that seemed so insignificant, but which ended up changing everything. Yes, it was my wife who introduced me to birding, and she didn’t even know she was doing it. Eight years it too long of a time to wrap up into a single post. Too many moments, too many people and places, and not everything is appropriate for public viewing. But let it be said that, because of all of the good, and despite all of the bad, the past eight years have been far better than a bum like me deserves. So this one’s for you, Mel. To me, one of the most positive qualities of human beings is our ability to show compassion to other species. Altruism within a species is fairly common (for a variety of reasons), and while seeing a young teenager help an old woman carry groceries to her house may give me that Hallmark feeling, it isn’t really that unusual. 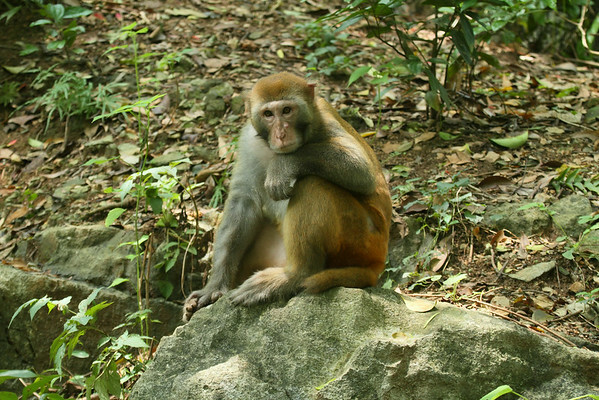 But far fewer organisms show this same altruism to members of a different species. 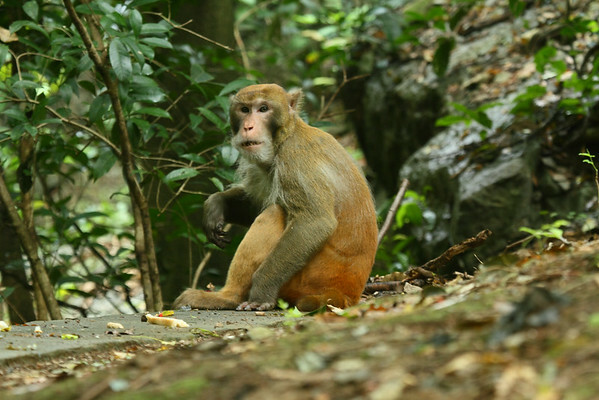 Humans are unique in that regard – only a handful of species (some primates, dolphins, dogs, etc.) exhibit this behavior, so it could be said that it is one of the things that separates humans from the other animals. On a personal note, I really dislike that statement, since it implies that humanity is somehow above or better than other organisms, and I feel that most of the world’s environmental problems would be solved if we realized that we are NOT above or better than the world around us. But that’s not the point of today’s post, so let’s move on. I’ve worked with birds in a variety of ways. While I list them and photograph them in my spare time, I’ve actually worked with birds one-on-one, through a variety of research projects involving point-counts, mist-netting, and nest searching. I’ve been trained on the proper way to handle birds of all species, how to go about searching for and monitoring nests with a minimum of interference, and how to recognize stress behaviors in birds. Therefore, I’ll begin this post with the old adage don’t try this at home, I am a professional. 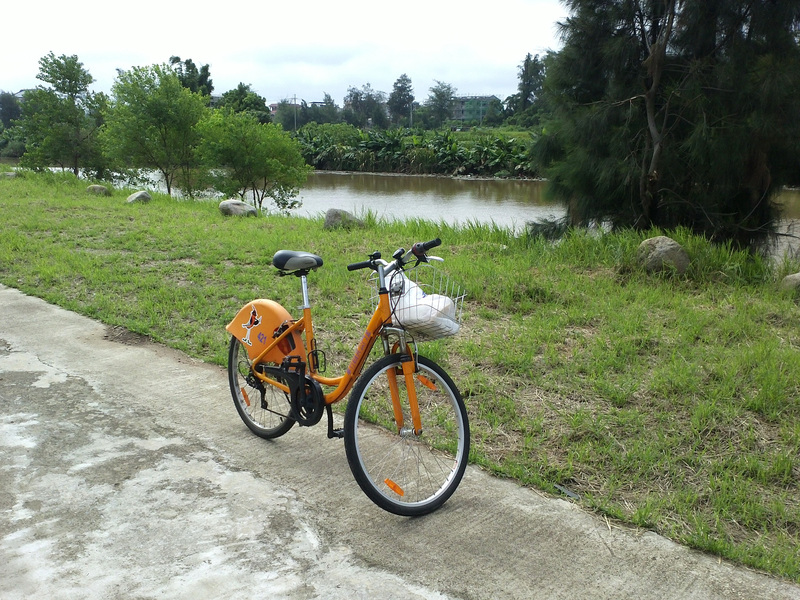 Melanie and I were biking along the northern shore of Kinmen. As we turned a corner, I noticed a small dark shape sitting on the road. Traffic in Kinmen is not what you would call “busy,” but nonetheless there are tour buses and construction vehicles that are very large and move very quickly. Needless to say, the road is not the kind of place where one takes a nap. 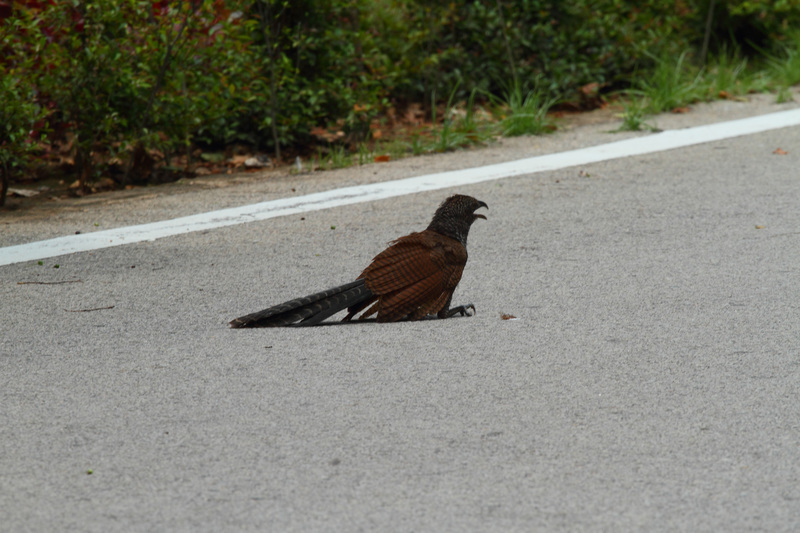 I quickly identified it as a juvenile greater coucal, and my initial impression was that it had been hit by a car. We’ve all seen enough roadkill in our lives to know the end result of vehicle vs. Nature. I was expecting to find a mangled wing, and the realization of what would have to be done next started to gnaw at my insides. To my (very relieved) surprise, when I approached the bird I did not find any obvious sign of injury. It turned its head to look at me, but did not attempt to escape. Not the best of signs, but not the worst, either. It appeared to me that the bird was either disoriented or exhausted, as evidenced by its open mouth and slight panting. If nothing else, I decided to move the bird to a more shaded area, where it could cool down instead of baking in the blazing sun on sizzling asphalt. Coucals are medium-sized ground cuckoos. 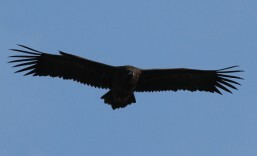 They have strong legs and talons, although they are not as sharp or long as a hawk’s. Still, care needed to be taken when handling the bird; even an accidental scratch by a sharp claw is enough to break the skin and cause a serious injury. Fortunately for me, the coucal made no fuss, and allowed itself to be picked up and moved off the road. Once we were off the road, I gave the bird a quick look-over. I gently stretched each wing, to ensure that there were no broken bones. The coucal did not show any sign that this caused any pain or discomfort. All of the feathers looked in good order, there was no blood or other sign of injury, and the wings could be moved easily. 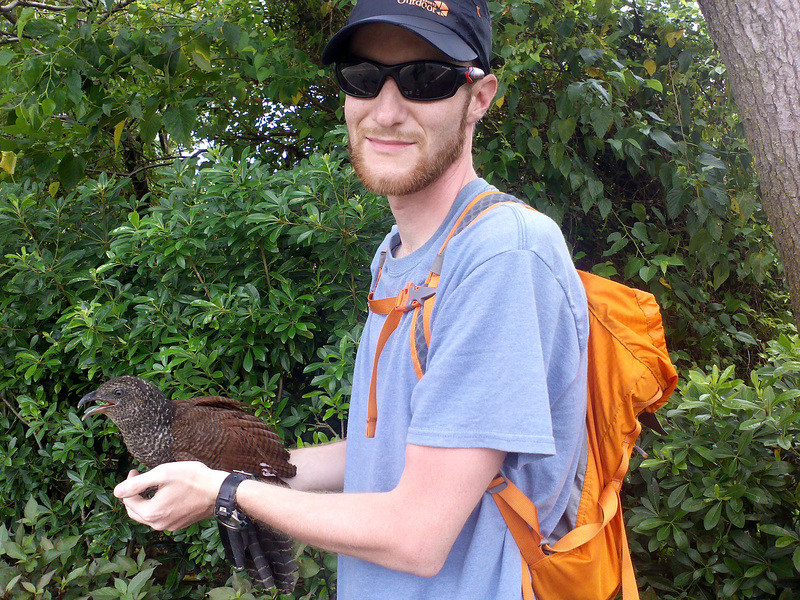 The coucal also kept a firm grip on my hands. With no indication of injury, I placed the bird into a small opening in the vegetation. 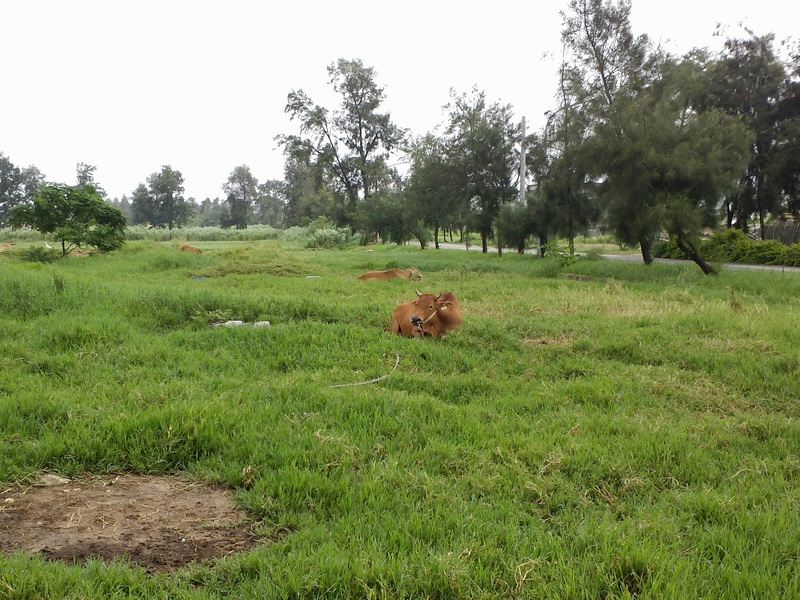 The spot was well shaded by the trees, and provided some cover so the coucal would not be obvious to any predators. I also used my water bottle to give the bird some quick drinks of water, which it lapped up readily. After about 10 minutes or so, the bird closed its mouth and began looking around again. It seemed much more alert, and when a large dump truck cruised by where we were standing, it jumped into the bushes and disappeared. My educated guess is that the bird, being a first-year juvenile, may have overexerted itself in the hot weather, and suffered sun stroke. Having nowhere else to go, it landed on the only open place it could find, which happened to be the middle of a road. It’s not worth thinking about what would have happened had Melanie and I not come by when we did. As I have already mentioned, I am trained in the proper handling of birds. I do not recommend handling any wildlife that you may come across, both for their safety and for your own. If you come onto an injured animal, contact a local wildlife management agency, a wild animal care center, or your local police station. The point is, do something. 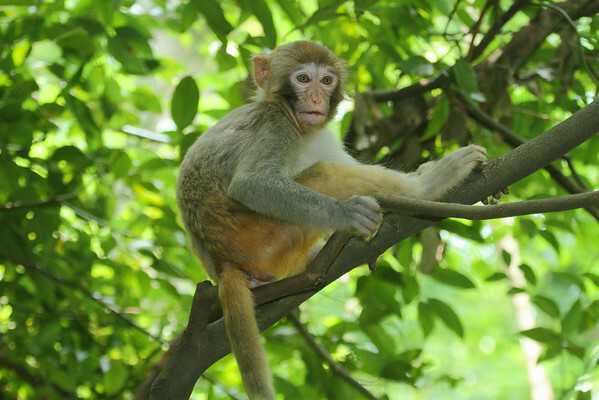 Making a quick phone call to save an animal’s life is hardly a difficult thing to do. Before disappearing into the brush, the greater coucal allows me to take a quick portrait. 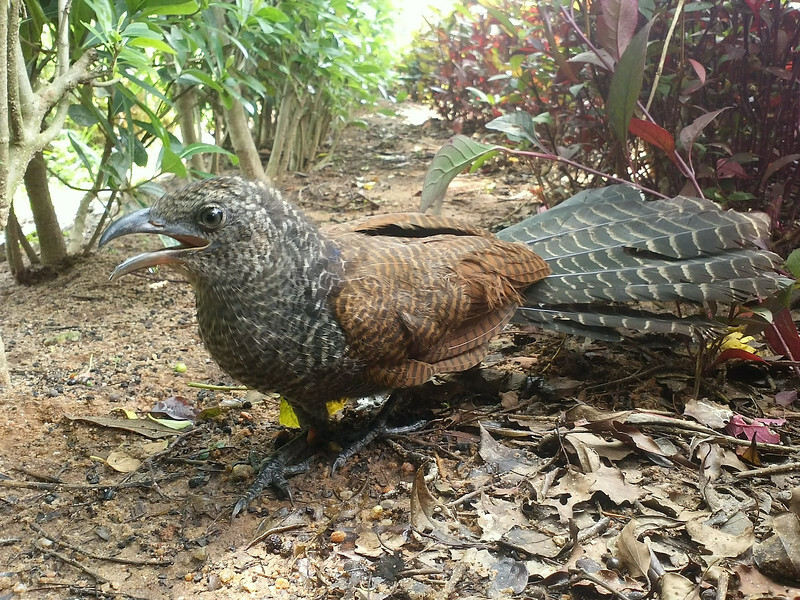 Best wishes to my new friend, the greater coucal, and here’s hoping you lead a long and healthy life. Stay away from those roads! 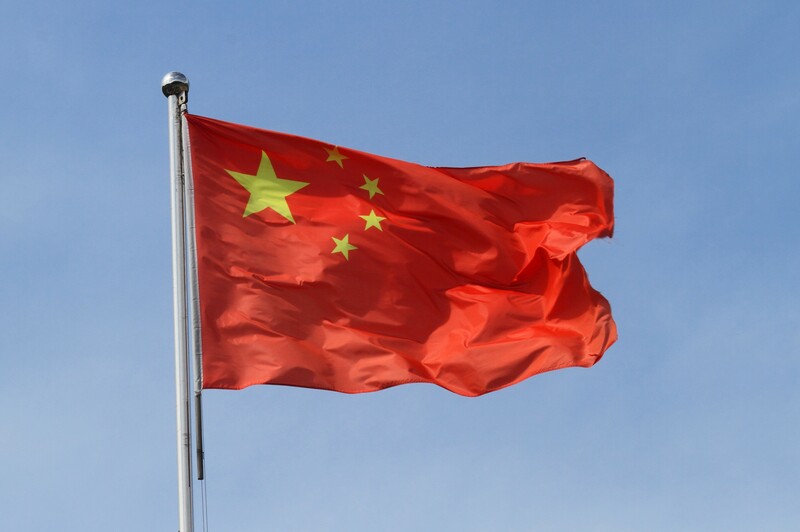 China is an enormous country, with an equally enormous population. Two weeks isn’t nearly enough time to see even a fraction of the country, so my wife and I had to decide what we wanted to see. 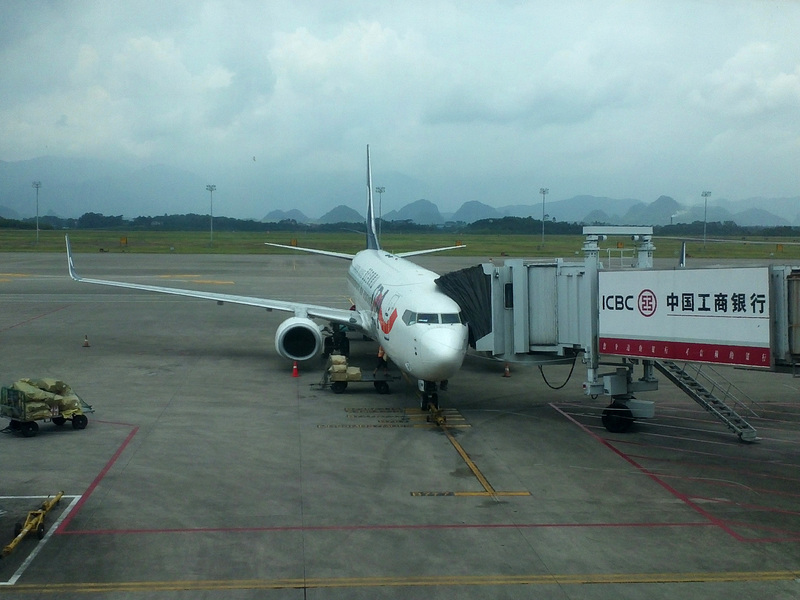 We decided on three locations: Beijing, Guilin, and Kinmen. 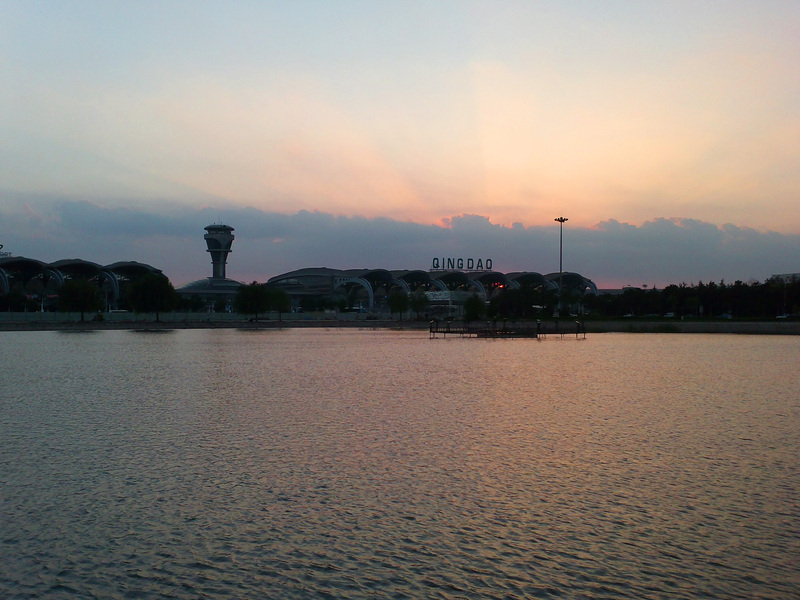 Our trip began, as they always do, at Incheon International Airport. We flew into Qingdao, before making the final jump to Beijing. 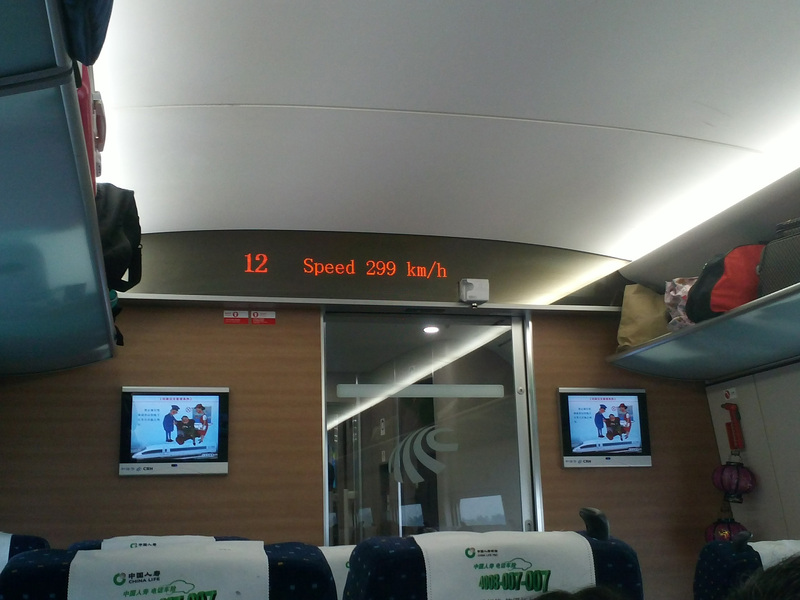 Neither flight lasted more than 1½ hours, but nevertheless we were treated to a full meal on our way to Qingdao. Did I mention it was free of charge? Words of advice, jot this down: never, and I do mean NEVER, fly an American or Canadian airline when flying internationally. Our airline companies forgot what air travel was supposed to be, and instead decided that treating humans like cargo was a better way to look at it. 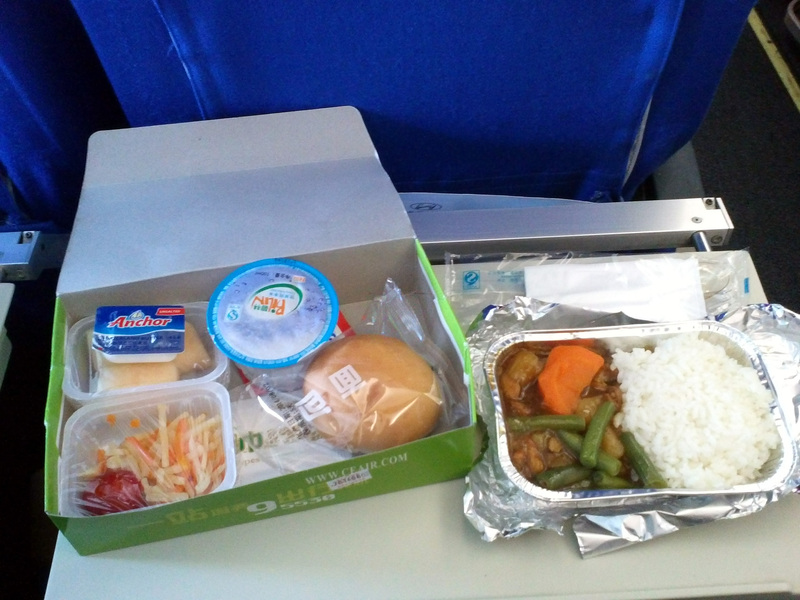 In-flight meal between Incheon and Qingdao on China Eastern Airlines. We arrived in Beijing at around 10pm, and took an airport shuttle to our hostel. 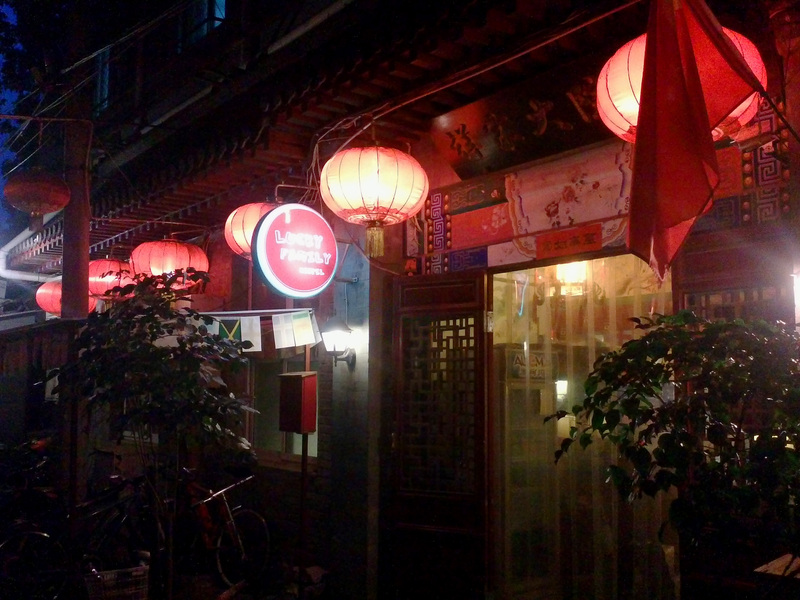 We booked ourselves a four-night stay at the Lucky Family Hostel, not far from the Forbidden City. This is definitely a great place to stay for the budget-conscious traveler. 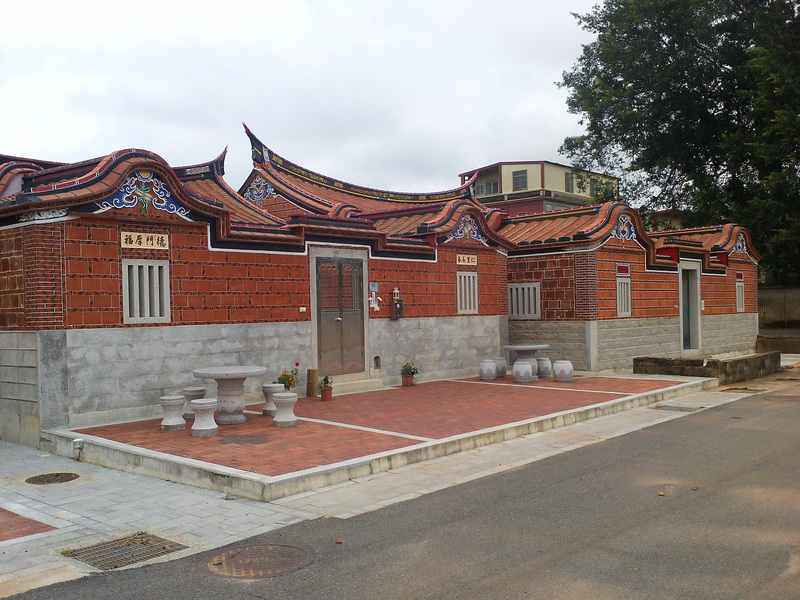 It has comfortable beds, a full shower and Western-style toilet (quite the luxury considering the alternative is the dreaded squat toilet – doesn’t that sound appealing? 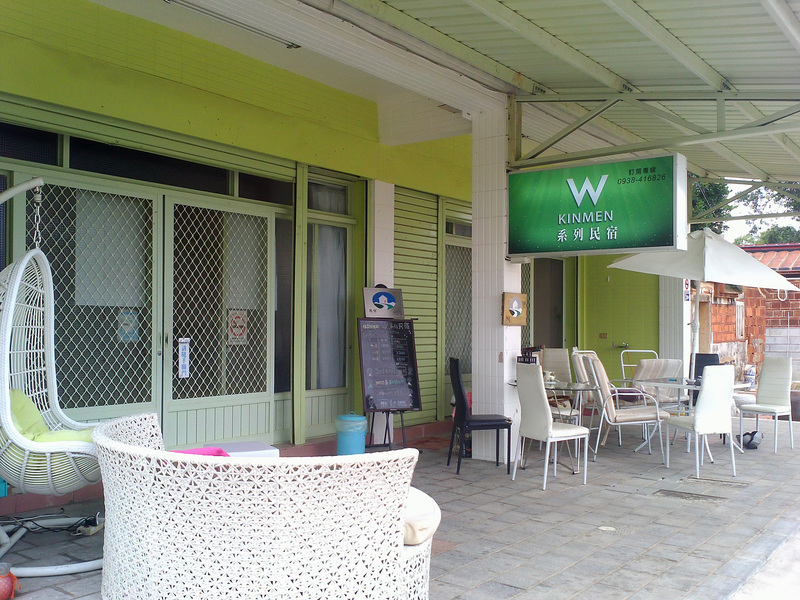 ), and the staff are friendly, knowledgeable, and can all speak English. 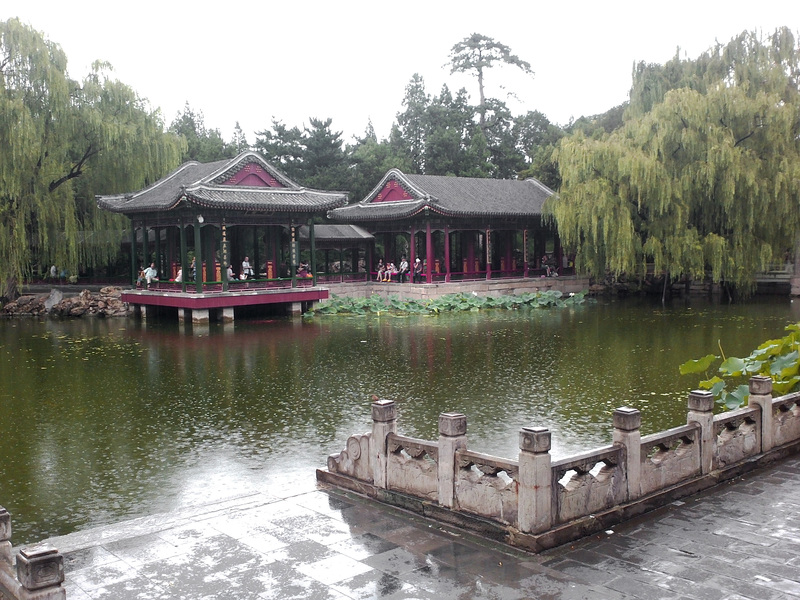 Our first day in China and Beijing was a wet one, but we set out nevertheless to the Summer Palace. It started to rain shortly after we arrived, and continued off and on for most of the day. As with most destinations, photos and words can’t replace actually being there. So here are a few images to whet your whistle, and some logistics in case you’re in the area and want to check these sites out for yourself. 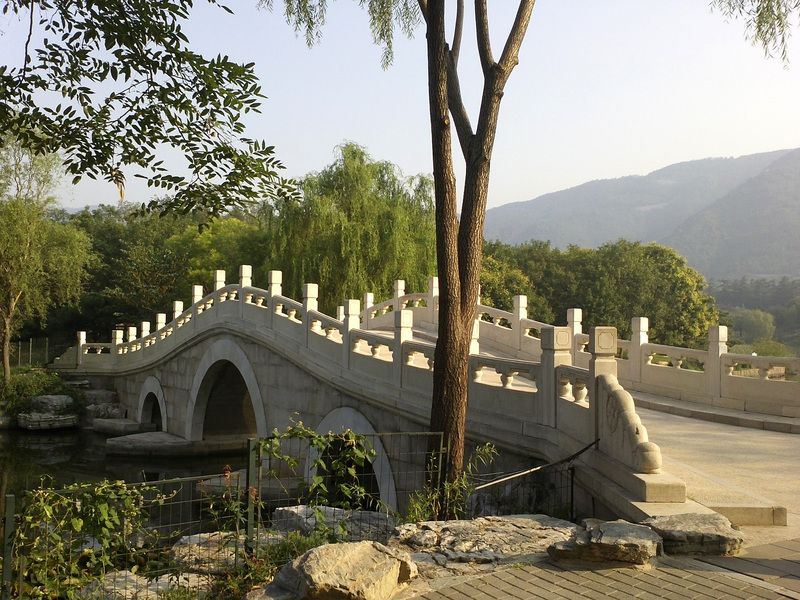 GETTING THERE: once in Beijing, the Summer Palace can be reached by taking Subway Line 4. 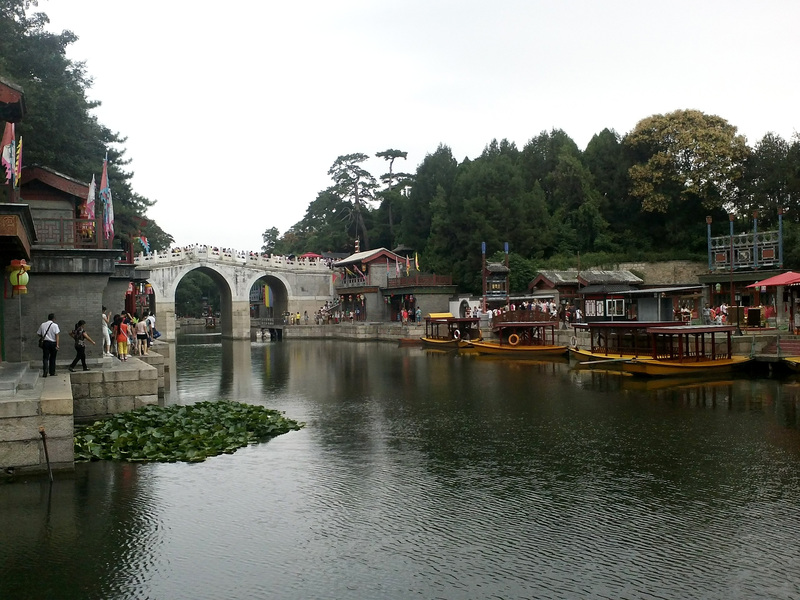 Get off at Beigongmen Station for the North Gate of the Summer Palace; use Xiyuan Station to go to the East Gate. 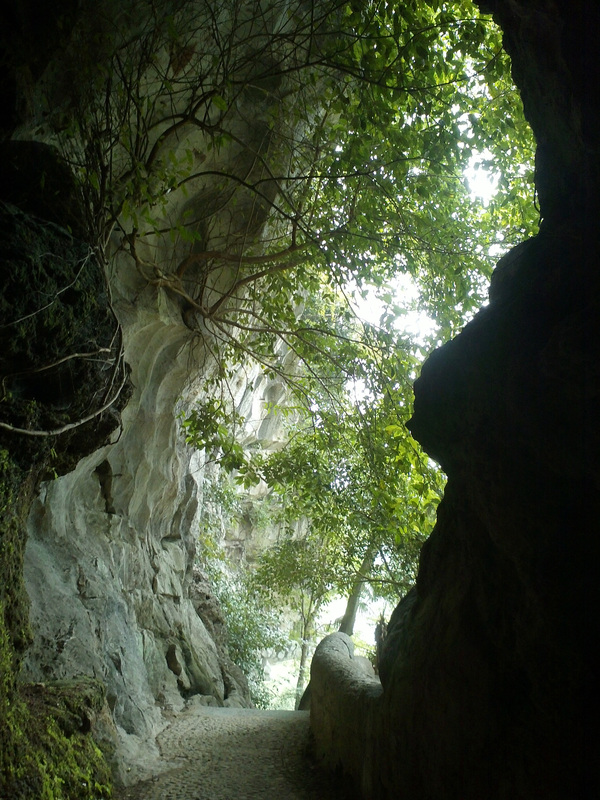 The entrance fee is ¥20 ($3.25 USD) November-March; ¥30 ($4.90 USD) April-October. SUGGESTIONS: as with any major tourist attraction, get there early. If you want to actually see and enjoy the Palace, you have to get there before the crowds do. This is especially true in a city of 11 million people. Expect crowds. 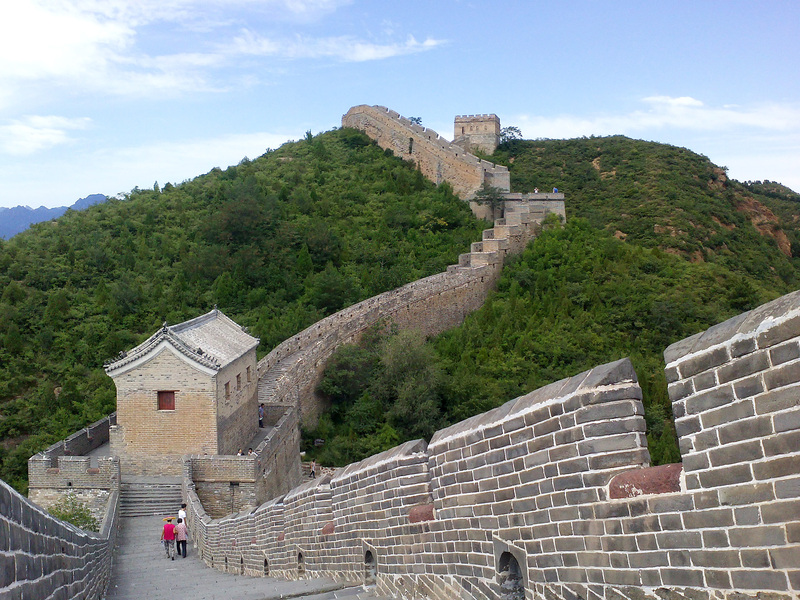 When you think of China, you think of the Great Wall. 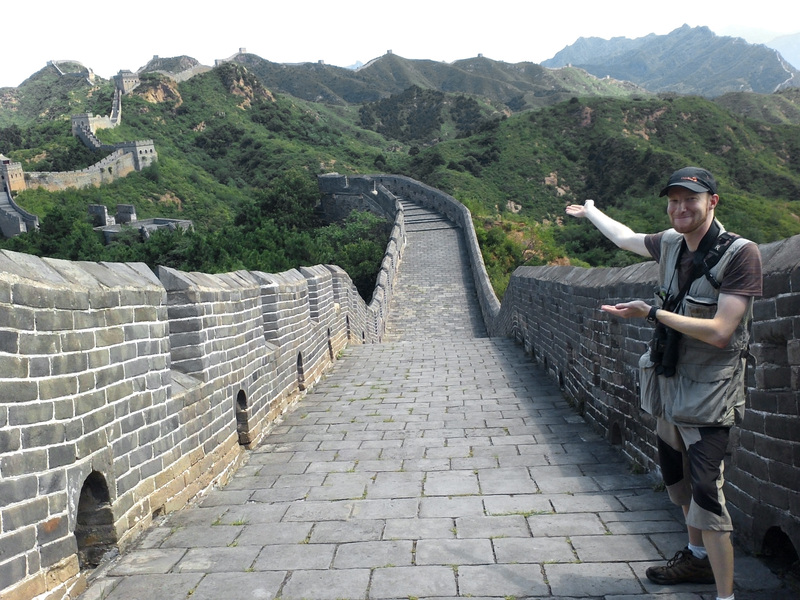 We sure did, and Beijing lies just outside of the Great Wall, making it a perfect place to see this phenomenal achievement. There are several locations where you can see the Wall; some have been entirely reconstructed, others are completely original. 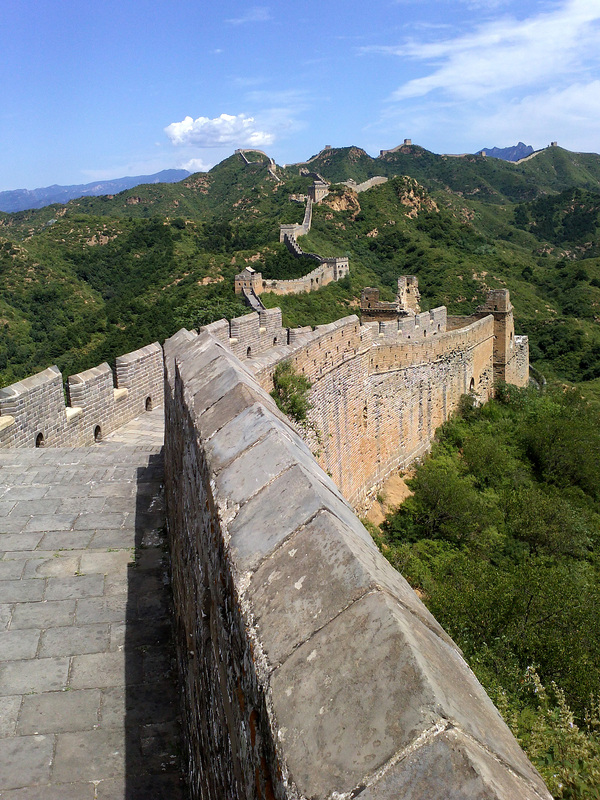 We chose to go to the Jinshanling Great Wall, a section of the Wall in Luanping county, approximately 125km outside of Beijing. 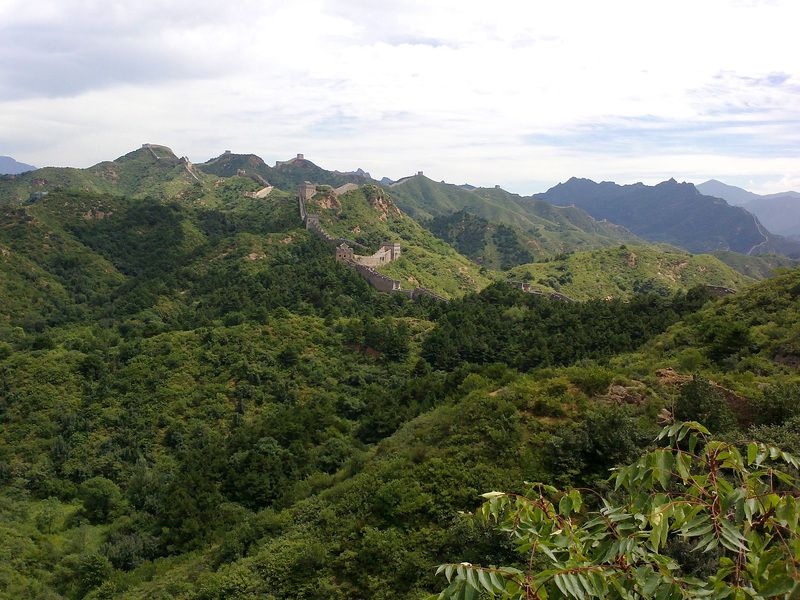 This section combines reconstructed sections with original portions, providing visitors with a true appreciation for the marvel that is the Great Wall. 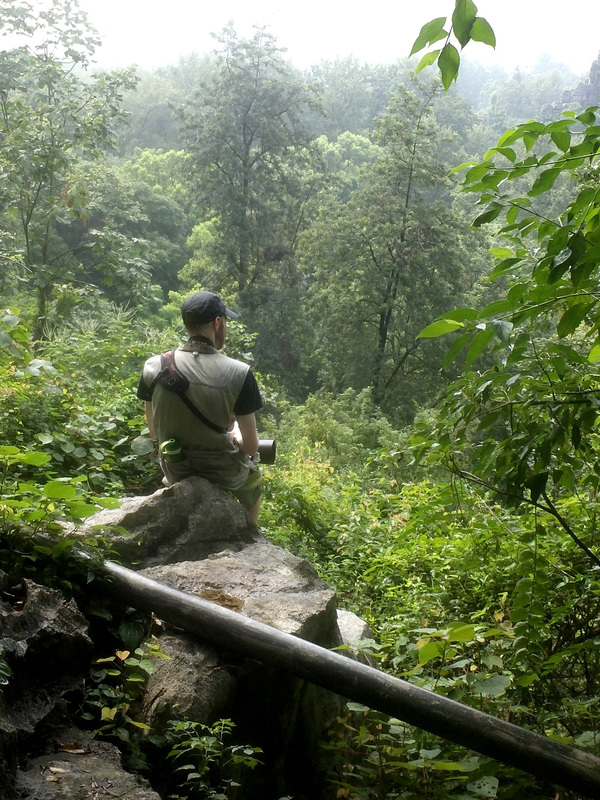 Jinshanling is also a relatively under-visited location, probably due to its remoteness. If you want to see the Great Wall itself, instead of seeing it as it appears under a sea of tourists, this is the place to go. GETTING THERE: Jinshanling is fairly far from Beijing, and therefore unless you have a car (or a friend with one), your only option is to take a bus. We booked a tour through our hostel for ¥280 each ($45.50 USD); check with your hotel or hostel for more information. The bus ride took about 3 hours one-way. Beware of street dealers offering tours – these “package deals” often have an unannounced stop at a tea plantation or art house, where you will be pressured into buying something. When you’re in Beijing, after you’ve seen the Great Wall, you have to go to the Forbidden City. This 500 year old complex housed the center of Chinese Imperial power; 24 emperors called this City home. The complex is indeed beautiful, but this was easily the most frustrating day of our visit to Beijing. 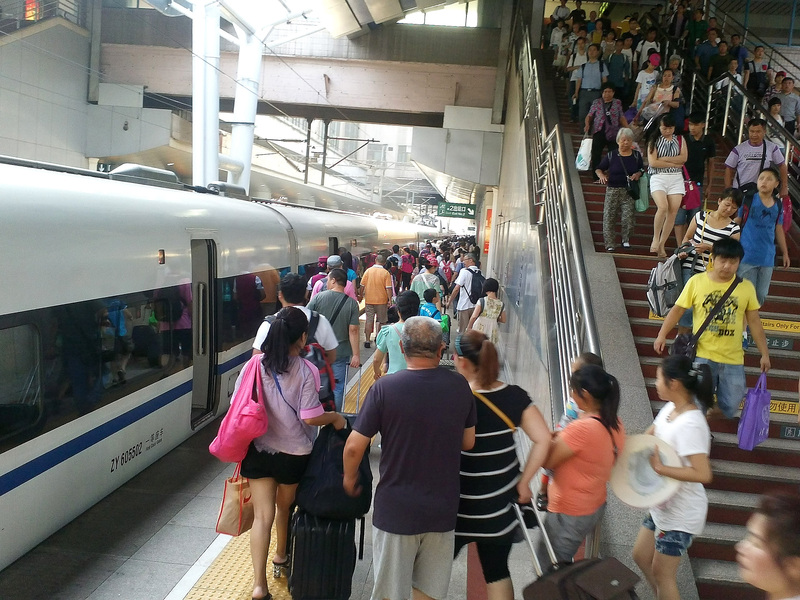 As I’ve already said (and you already know), China is a very crowded country – nowhere is more crowded. And the “Forbidden” City was anything but, as you can see from the above image. The crowds, easily numbering into the tens of thousands, were non-stop the entire day. We had a hard time finding information, ticket booths and entrances are poorly marked or not at all, and with the never-ending wave of people coming behind you, there really isn’t time to actually enjoy what you’re seeing. But that’s just my opinion. 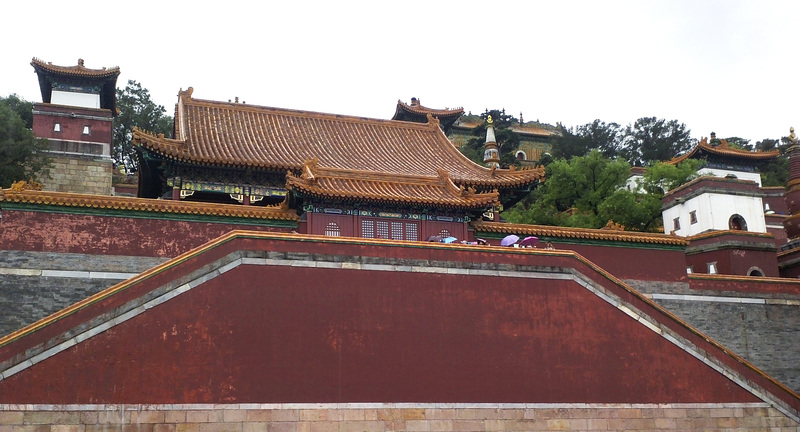 GETTING THERE: There are three methods to get to the Forbidden City. On Subway Line 1, get off at Tiananmen Square West or Tiananmen Square East. On Subway Line 2, get off at the Qianmen Station. The entrance fee is ¥40 ($6.50 USD) November-March; ¥60 ($9.75 USD) April-October. SUGGESTIONS: As with the Summer Palace, get there early. No, I’m serious…set an alarm! 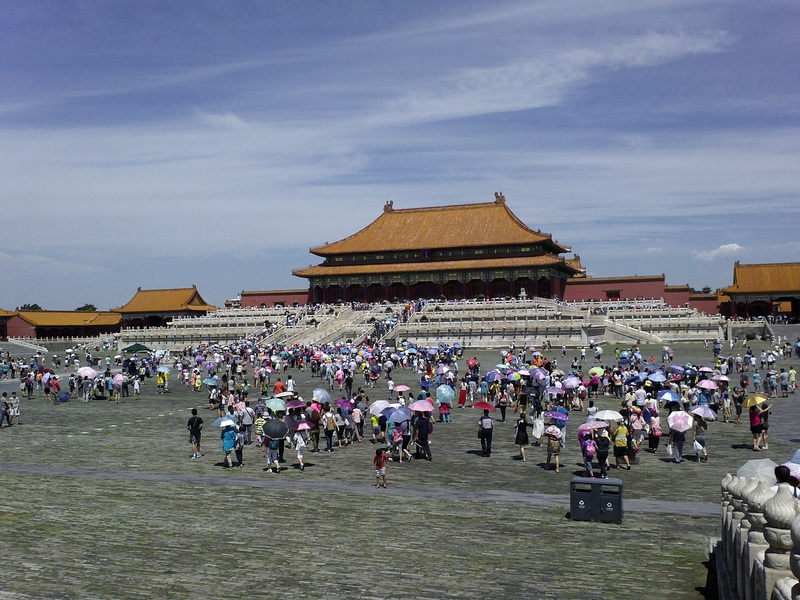 This place is packed – on major holidays the Forbidden City limits entry to 80,000 visitors per day. And that’s a minimum! Bring plenty of sunscreen or an umbrella. Water bottles must be emptied before entering the site, and you will have to undergo a pat down and have your bags X-rayed. Food and water are available for purchase inside. 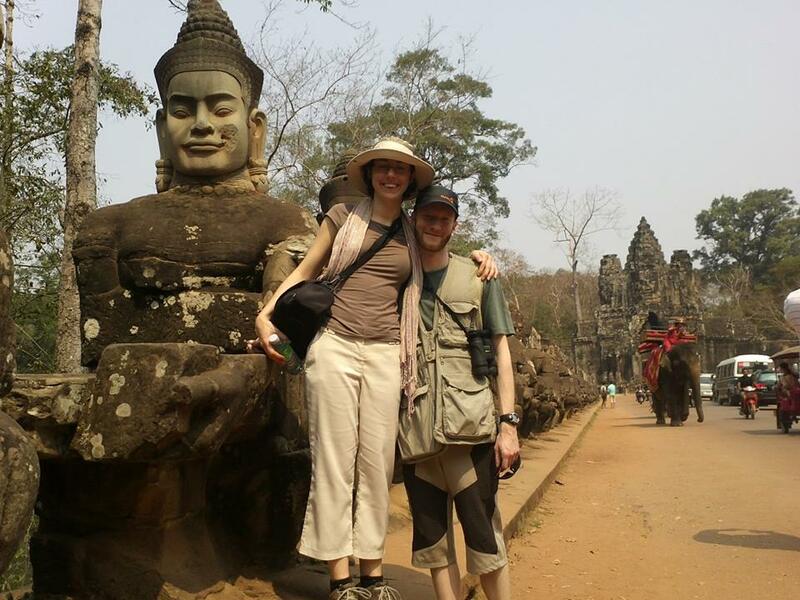 Generally Westerners are more concerned about personal space than in some parts of Asia; this is very true in China, and the Forbidden City in particular. Be prepared to be “politely” nudged out of the way while waiting in line, and/or to be completely cut off while waiting in line as well. It may appear rude, but it’s business as usual here. We decided to spend our last day in Beijing at a lesser known site. After surviving the Forbidden City, we both needed a little time away from the endless crowds and the noise that entails. Although the garden was not really in bloom (being August), the setting was very serene and relaxing. GETTING THERE: Take Subway Line 4 to Beigongmen Station. 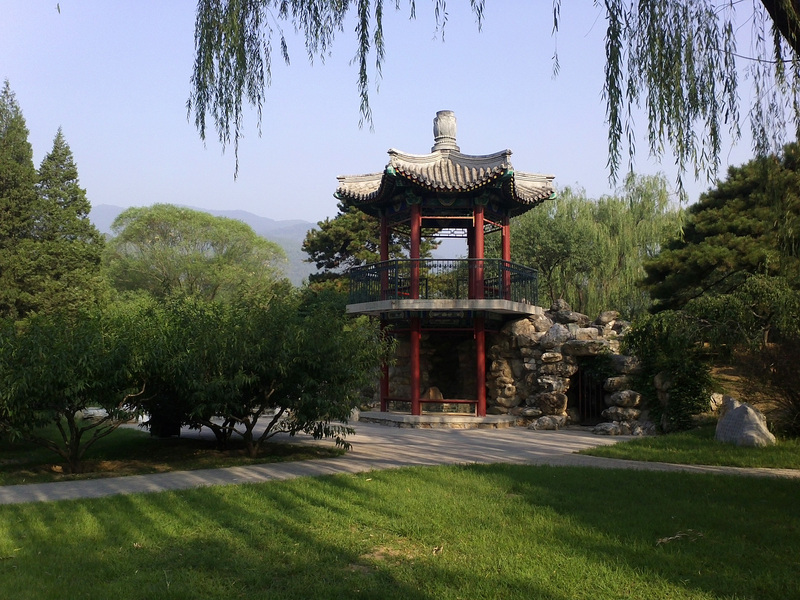 Then take Bus 331, 696, or 563; alternately take a taxi to 北京植物园 (Beijing Botanical Garden). The entrance fee is ¥5 ($0.81 USD). SUGGESTIONS: This site is a little harder to get to, especially if (like me) you don’t speak or read Mandarin. However, if you do make it there, all you’ll need to bring is sunscreen or an umbrella. 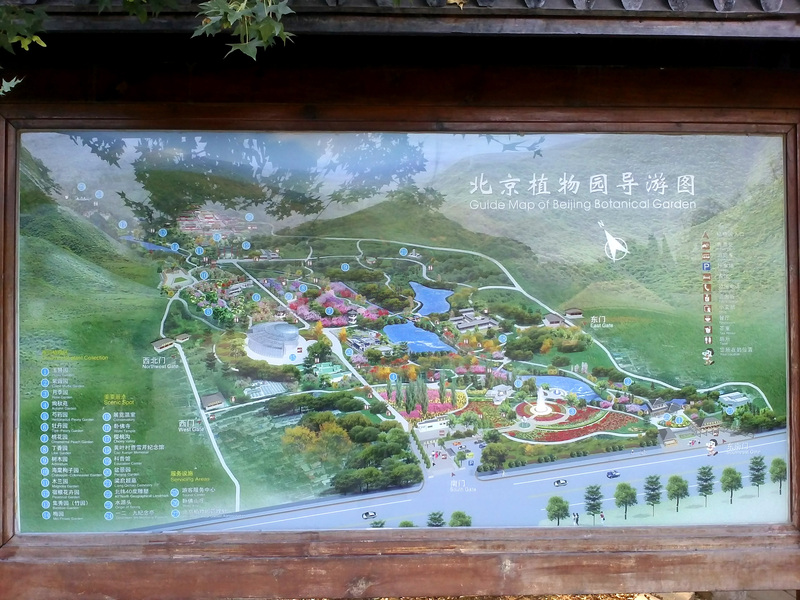 There are food stands where you can buy food and drinks, a small shuttle service that will give you a “tour” of the grounds, and even hiking trails for the more adventurous. 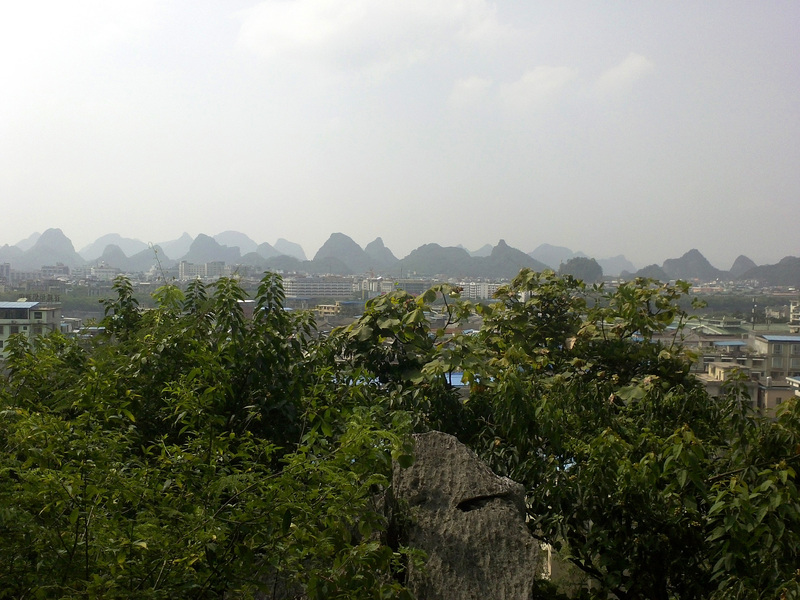 As we packed up and left Beijing behind, I was both happy and sad to be leaving. As the capital of China, Beijing is an enormous city, and is bursting at the seams with people. But there is so much history, culture, and beauty to be seen there, that four days barely scratched the surface of what the city had to offer. 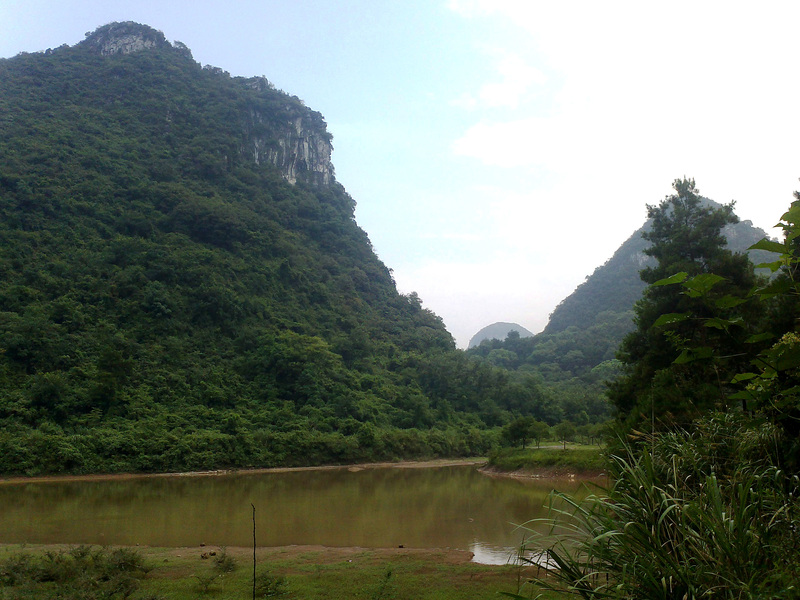 Next stop, Guilin in Guangxi province.